A retro website asking citizens to watch the skies is the latest viral marketing campaign for the sci-fi shooter XCOM. Marketers have a harder time getting consumers to care about their products these days. Boo hoo, I know, but in order to fight through the noise, nerd-centric products like games and movies often try to come up with a meta ARG or bombard the endemic press with gimmicks a la the Dante's Inferno campaign. It seems that 2K Games is slowly rolling out something like the former with a Twitter feed, a Facebook page and a website devoted to "Citizen Skywatch." The only problem is that casual observers can be clueless as to what this campaign is actually promoting. The Escapist just received a press release that mentions the "Citizen Skywatch Alternate Reality Game for XCOM" however that seems to point to the sci-fi shooter reboot of the classic turn-based strategy game. More details will be surfacing in the days leading up to PAX Prime. A few days ago, the web address http://www.citizenskywatch.com began showing a blog featuring entries from someone called "Citizen One." The website warns of an invasion coming from the skies and urges all readers to maintain vigilance. The "Citizen Skywatch Teletype" - otherwise known as a Twitter feed set up by the marketers - went live two days ago and a Facebook page also now states that the Citizen Skywatch was founded in August 1960. The location is listed as: "We are everywhere." The campaign hints at a larger movement, perhaps with gameplay elements similar to the I Love Bees alternate reality game that promoted Halo 2 or the more recent Portal 2 images leaked by Valve earlier this year. But other than the standard marketing pieces listed above, this ARG feels a little sparse - at least right now. 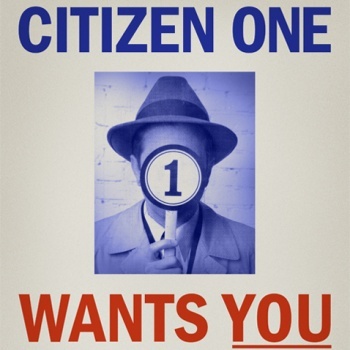 More information will be forthcoming at PAX Prime, as the release promises that some forum goers will be able to converse with Citizen One himself. "Attendees at PAX will be able to step into Citizen One's Seattle bunker as he recruits new agents into Citizen SkyWatch to expose the government's attempts to cover up the unknown threat invading our skies," says 2K Games. While that sounds interesting - as long as they get a skilled actor to play the role, I vote for Sean Connery - it must be a bit frustrating for the marketing team for the Citizen Skywatch Facebook page to be plastered with comments begging for different games than the one it's meant to promote. "GTA V? Please R*!" one commenter laments.